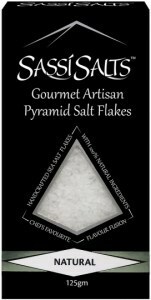 Sassi Salts produce a range of naturally flavoured artisanal salts formed into light, crunchy pyramidal crystals by solar evaporation on the Mediterranean island of Cyprus. 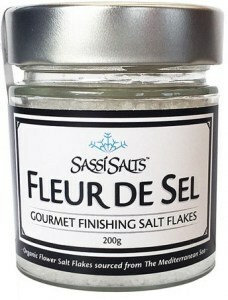 They also offer hand-harvested fleur de sel. 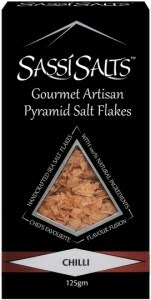 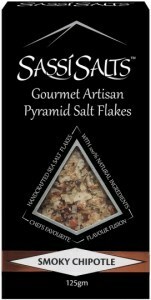 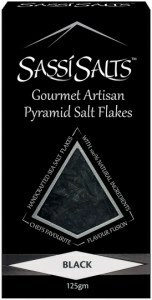 Sassi Salts spend up to two years creating each product in their signature line of handcrafted artisan pyramid sea salt flakes. 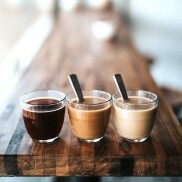 Mediterranean seawater is fed through a series of shallow ponds on the island of Cyprus as it undergoes a sustainable, ecofriendly process of solar evaporation. 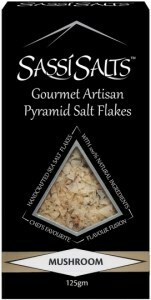 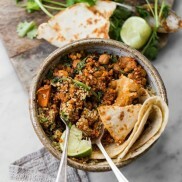 Sassi offers the delicately crunchy pyramids both in pure form and blended with natural activated charcoal, chilli, lemon pepper, mushroom, rosemary, smoke, chipotle, and wild garlic; they also sell gourmet fleur de sel.